JOIN OUR WAITLIST BELOW TO BE FIRST IN LINE WHEN THE DOORS OPEN! I will begin this course with a brief description on how it is laid out. This will aid students in anticipating what is to come. I will then review my choice of preferred supplies and equipment for both field and studio work. There are so many products out there that even the most seasoned professional can end up confused over what really works. A strong understanding of these products will allow us to focus on the more important principles to come. I will also spend time on how my studio is laid out including lighting, ventilation, organization and much more. Then, I’ll discuss my field kit, and how to slim down what I take outdoors so that I am not burdened or limited by excessive weight. It all starts with drawing. Without believable, accurate drawing your painting won't work. In this module I will discuss the two basic properties of drawing, and how to use them to analyze your subject in an effort to better understand the painting at hand. I will then illustrate these points with a detailed demonstration that reinforces these all important properties. People often times overlook value in favor of color. That's a big mistake. If your values aren't accurate, color will not save the painting. In this module, I will discuss the importance of value, what to look for, and how to simplify your value range to reinforce design. I will also cover the use of value to create a strong sense of light, atmospheric perspective, mood, and impact. I will then support these points with a demonstration that illustrates these concepts and also showcase strong value contrast, and large, simple masses with a very close value range. Design is nothing more that the arrangement of elements in space. Not just physical things, but shape, value, line, color, texture, edges and much more. Elements that make art rather than paintings. I will discuss these points and what to consider when analyzing and selecting a solid, paintable motif. A motif with a strong yet simple presence. A motif that puts you closer to a successful work of art. From format to finish, I will then illustrate these points with a demonstration that clearly shows balance form left to right, top to bottom, and foreground to background. I will do so with a subject that clearly supports many of the elements discussed. Color . . . that almighty, exciting fundamental that we all respond to differently. The most personal of the basics. One that evokes emotion in a unique way for each of us. But wait, if color is so important, why is it the only fundamental that we can do without? In module five, I will discuss this. I will cover the four properties of color, and how to use them to select your palette, in an effort to maximize range. In addition, I’ll cover the importance of these four properties when it comes to analyzing your subject. I’ll then spend time on mixing with complements, the use of broken color, and why earth colors can be so significant and at the same time dangerous when painting the landscape. All these points will be illustrated in a demonstration that showcases a subject with a strong color temperature contrast. On top of the 5 core modules with 8 hours of instructional videos, Matt adds additional monthly video content throughout the 365 days — it’s an ever-growing library of tutorials to provide you with fresh material for added inspiration and motivation. 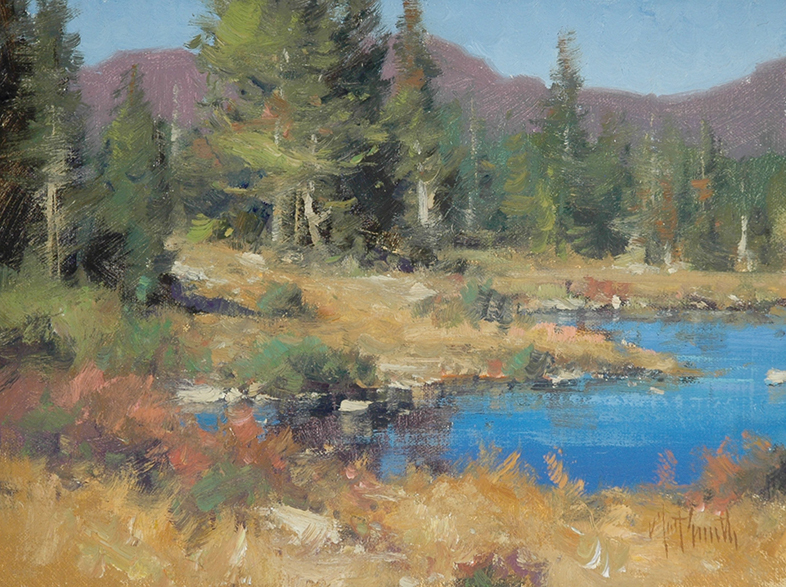 Whether you paint still lifes, landscapes, figures, or portraits … whether you use oils, acrylics, pastels, or watercolors, Matt’s course will teach you techniques and skills EVERY artist needs. Top notch artists, quick tech support, comfort from your studio, no travel expenses and BETTER paintings, all in one affordable package! If you’re serious about improving your landscape paintings, don’t miss out on Matt’s awesome collaboration with TAAO. I know I’ll be enrolling. We are excited to have Matt Smith join us Online. He is an exceptional painter and teacher and now we have the opportunity to bring his knowledge to your studio. Physical workshops are great, but they end way too fast. Wouldn’t it be great to have ongoing access to a renowned artist and his instruction to help you get the results you deserve? This type of attention and expertise is what advances your work forward. …well, this is why we created our “365 Day Access with Mentoring”, Online courses - all with you in mind. You will have access to Matt's knowledge for a FULL YEAR. This is not a class or a workshop; it’s 365 days of study and mentoring with Matt Smith. There’s over 8 hours of stunning High Definition, over-the-shoulder pre-recorded video oil demonstrations to watch with suggested assignments to put what you learn into practice once you enroll. You can watch, paint and rewind as often as you wish for deeper learning. And we’re betting each time you watch, you’ll get another ‘aha’! This Online course is designed to fit around your schedule. There’s plenty of time to slow down and have fun with the process. There's no falling behind and no set times to be at your computer. You can learn from your studio or from across the world because it's always open waiting for you to login. You’ll have access for one full year on desktop, laptop, tablet, or smartphone. All you need is an internet connection. Matt has "bi-monthly" group sessions with feedback & critiques throughout the year. You not only hear but see him digitally color correct students submissions right before your eyes. Everyone benefits from each other this way. You’ll experience many eye-opening tips you can use in your work right away. Every month NEW video lessons are added - Matt keeps the course growing throughout the year! 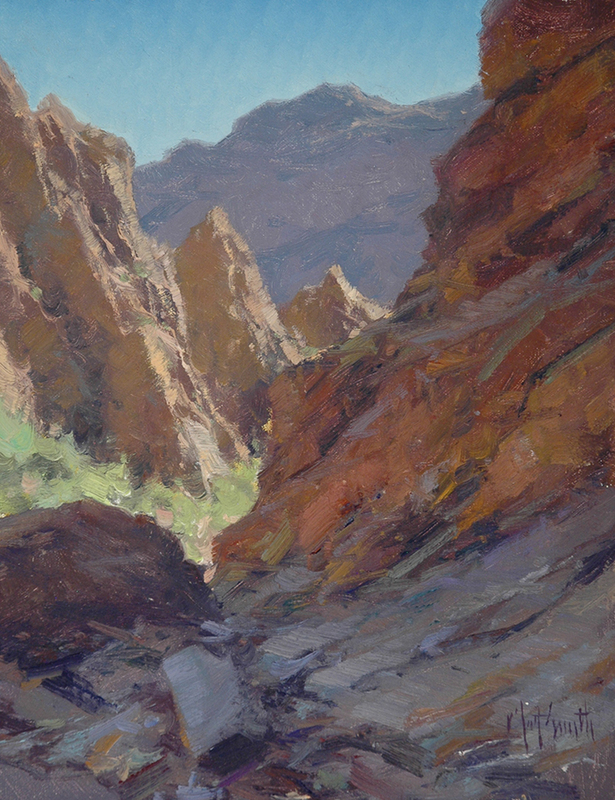 Each lesson addresses a topic with tips & techniques that you can try in your paintings. Students mention all the time how much they enjoy these. They keep you inspired to try new things! And—most importantly—you can join Matt’s "private" Facebook community. Get feedback and critiques from Matt so you can see what a renowned artist does to bring your painting to a more sophisticated, refined work of art. Matt gives YOU full support all-year-long. Plus see what other students are posting, so you can learn from their journeys as well! It’s an amazing community to be part of throughout the year. *Note~ Your participation in the private FB group is not mandatory, but we sure hope you’ll take advantage of this valuable resource. And, the best thing about this course: it’s knowledge that keeps on working and working, whether you’re just starting out or a well-established artist. Matt's Online course works for EVERYbody who puts in the effort.